How were your holiday gatherings? One of my Tarot friends sent me this hilarious cartoon for Thanksgiving, combining two things I love--laughing and Tarot. I have a great family and enjoy them very much. This was not always the way--my extended family dinners as a child seemed more like a blood sport. People leaving drunk and crying, yelling, dramatics, drinking, accusations. No one seemed to like each other, and I vowed as an adult to not be this way. Holidays can be fraught with emotions--joy, grief, hurt, expectation, anxiety, sadness, loneliness--then add complicated family and friend relationships, and it is a formula for deep trauma. As I thought about this, I wondered how I would want to help my clients navigate the holiday family gatherings with my clients if they came to me for a Tarot reading. And I thought about how often in relationship disputes, I cannot see the trees through the forest. So, I created a Tarot Layout for Healing Friendships, Relationships & Family Dynamics. I created it so you can go deeper with shifting tension, for seeing a new perspective and for finding a way forward. I focused this layout on the person asking the question, because we can really only change us, right? I think it would be useful to consider the cards that arise in certain positions. There are some relationships in which there is no path forward--this rift is permanent and important. Pay attention to the people on the card--is it a solitary person, or two people? Are you seeing cards of withdrawal or protection? Remembering that sometimes you are not at fault in the slightest, so how you move forward needs to be considered with that in mind. I'm going to print some of these out for Tarot Share, though it might not lend itself to a great group reading. This is really about our individual work with another person. If you didn't know, one of my passions is altar making. I have an altar 100% of the time on my bookcase in my meditation room. On one side, i always have a crystal grid going, just to raise the vibration of the room and my soul work. On the other side (because the bookcase is long and thin), I place a statue of a goddess or angel, or a picture, or a statue or fetish of the animal medicine I'm working with. Then more crystals, ones that work with the crystal grid or medicine wheel I have on the other side. I change it out depending on the holy day or sabbat, my soul work or journey work, shadow issues that arise, messages I am getting from Spirit, Animal Medicine, health or family crisis...whenever I am facing a new challenge, passion or phase in my life, I look to the altar first. I have been facing so many different exciting changes and circumstances. My health journey has been challenging this year. 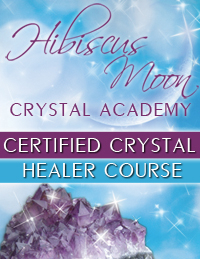 My work life has expanded with hibiscus moon and then my client base in harrisburg is always expanding and changing. My soul work has been on a nice even keel, and then I went to SouLodge Earth Medicine Gathering and uncovered many layers of what I need to do. Where do I even start with all this? Well, that was my question. Where to start? Where does Spirit want me to start with all that information? Being an intuitive isn't always so clear cut. I get tons of messages. Right now, my dreaming is through the roof (Last night, i dreamed an incredible dream, and then when it was done, I decided to have that dream again, and then reworked it into a new dream with a new ending. Talk about lucid dreaming on steroids!) And sometimes I get that analysis paralysis, or rather information overload! So much of what this reading said to me was that it was time to allow transformation to happen. The shadow work here is around letting go, surrender and joy. I often struggle with joy. Joy is a bugger for me. So, this work with snake centers around this shedding of control and desire to figure it all out. The ritual card here is one I created called Enso, Imperfection. I used to have a fairly steady and daily enso painting practice. I don't paint ensos anymore--life got complicated with my adventurous two year old. But I decided to paint a rock to remind me of this for my altar, using this enso ritual as a jumping off point to explore an imperfect creative practice to funnel some energy. You also can play with this spread, as I have compiled a little easy Tarot Layout for you to incorporate into your practice. In fact, I created a few of these for Pinterest, since I use SO MANY pinterest layouts these days, having not so recently discovered that they exist. Enjoy and share, if you can. It is great to have a Tarot community to bounce ideas off of. LOVE to YOU!